The bold, new design and the feature-packed tracker, not only has been optimized to fit the needs of both nimble cats and active felines, but the device has also been designed to greatly enhance the cat owners’ experience as well. The Tractive GPS CAT Tracker allows you to follow your cat on their expeditions through the neighborhood by showing the path in the complementary Tractive GPS smartphone or web app. 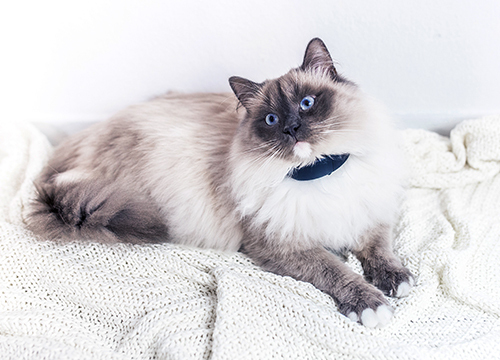 It provides you with the real-time location and activity information of your cat so that you know where your cat is at all times and how much your cat walks around during the day. The decision to make the new product with the unique strengths was made based on great user feedback and active community involvement, which inspired Tractive’s engineers to explore and create features that would fit the individual needs of cat and dog parents. Additional features revolve around Tractive’s IoT and smart home integration with services such as Google Home and Amazon’s Alexa. The integrated smart collar: This allows the tracker technology to be distributed across a wider area, reducing the load of a bulky tracking device. This is definitely a valuable improvement, especially for small and nimble cats. Emergency break-away system: This is directly built into the collar. That’s why the collar will release from the neck of the cat if, for example, it were to get stuck on a fence. 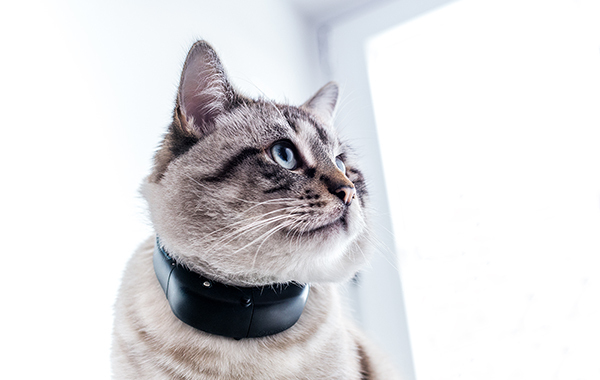 Once enough force is applied the cat will be able to break free and the user can easily retrieve the tracking collar using the companion app. Interchangeable Battery: This provides both users and pets with a unique experience, one in which no cat ever has to be without an active Tractive tracker. This means that precision GPS location tracking can now be provided nearly anywhere in the world with essentially zero downtime. Activity Monitoring: Detailed activity level monitoring gives the user more information about their cat’s fitness level. The Tractive GPS CAT Tracker is designed and optimized for cats, but would naturally fit small dogs or similar animals. The brand new device is available in the United Kingdom for only £44.99 and users enjoy a free premium shipping service. Don’t ever worry again, if your cat doesn’t return home at the expected time! See all your cats' secret excursions and track them instantly with the brand new Tractive GPS CAT Tracker!